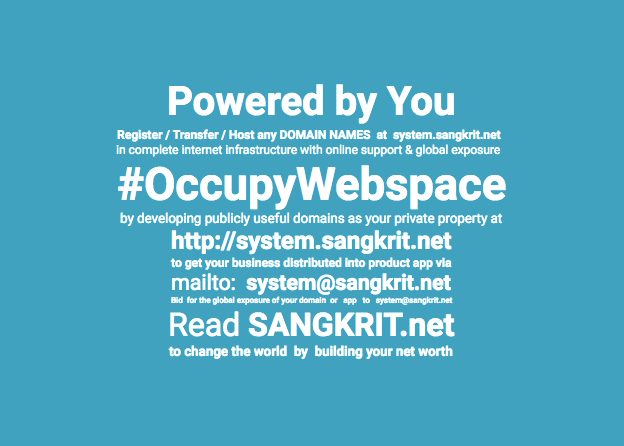 Register/transfer domain names at http://system.sangkrit.net and mail to system@sangkrit.net to get your web/app made/managed as per the budget allocated. Websites and their users make winsome combinations on Internet not only in making money but in making independence as well. FREEDOM becomes unbeatable upon becoming popular utility on World Wide Web. So make it so more often than not.